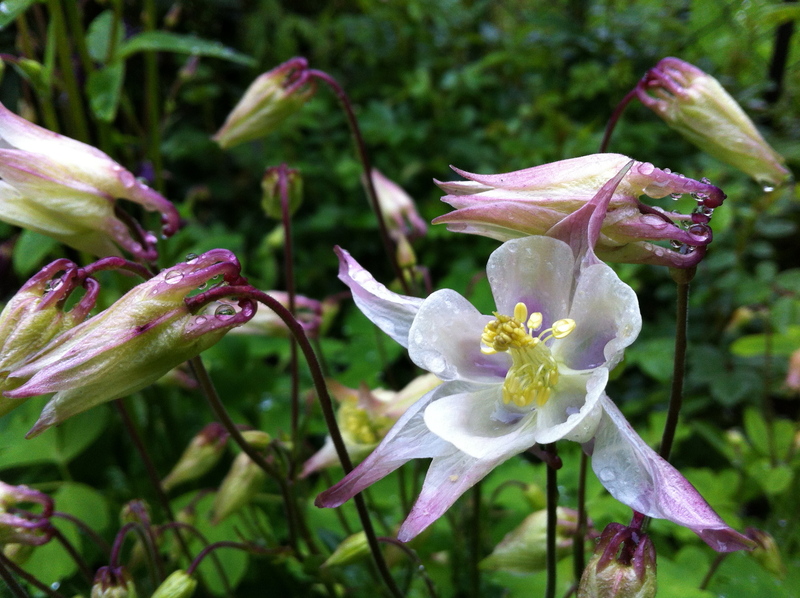 Last summer I planted some blue Columbine seeds, also known as Aquilegia Caerulea or “Granny’s Bonnet”. They were so easy to sow and germinate that there’s not much point in buying grown plants unless you’re impatient or can’t get the variety. They were planted out by the Autumn and have come through the winter and are currently beginning to flower. The more observant will notice that the flower is definitely not blue. Perhaps the blue colour will develop in time as this flower has just opened and you can see blue tinges to the petals. It certainly looks pretty and there are many more flowers opening up, which will keep me busy deadheading them once I have collected the seed for the next generation. Note: Aquilegia seed may need stratifying before it will successfully germinate. I’ll have to read into this before sowing.